10 Variations Of Biryani That You Should Try At Least Once In Your Lifetime! Biryani is nothing short of a magical food. Riddle a person who doesn’t like biryani, and you’ve found yourself someone who hasn’t found their kind of biryani yet! Despite having complicated origins and history, biryani continues to be a staple in the Eastern world. More prominently so in India and the Gulf regions that fall to its West. You’ve hopefully had your share of biryani, but since there’s no such thing as too much biryani, here are a few variations of biryani you can give a try. This is one biryani you’ll come across nonstop if you’re anywhere on the Bangalore to Chennai highway. 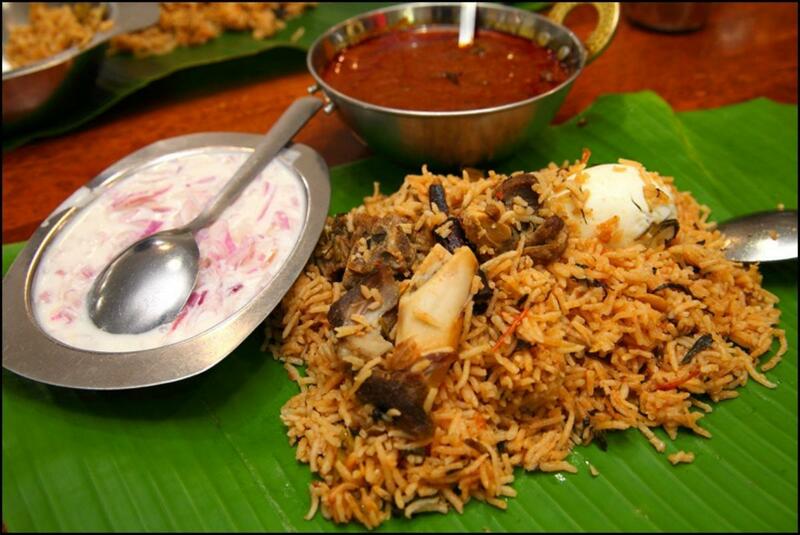 Ambur is a small, sleepy town in Tamil Nadu that has gained popularity, thanks to its biryani style. It’s made with mutton, beef, chicken, and even prawns sometimes. The meat is soaked in curd before being added to the rice, and it’s served with raita and brinjal gravy. Another town in Tamil Nadu famous for its biryani is Dindigul. The uniqueness factor comes in the form of rice, jeera samba. This adds a completely different flavor to the biryani. The mutton is also cut up into smaller pieces and a lot of pepper is used. Nawabs prefer their food to be mild yet aromatic, making this biryani slightly less spicy, yet still equally flavorful. It’s made in the Persian style of Dum Pukht, where meat and rice are cooked separately and then layered and served in a pot. Served all over the coastal regions of Kerala and cooked using either mutton, chicken, or egg, this is a very popular biryani. This biryani uses a different kind of rice called Khyma rice, along with lots of raisins and cashew nuts. The rice and gravy are cooked separately and mixed right before serving. A sour and spicier variant of biryani, this one has its origins in the Sindh province in Pakistan. You’ll find kewda and even prunes, along with a very tangy mix of all kinds of spices. And don’t forget, lots of curd. This biryani has more curd than any other biryani. No talk of biryani is complete without a mention of this gem. It’s a hallmark for biryani and uses a lot of coconut and saffron to impart a truly unique taste. The meat comes secondary to the saffron flavored rice, and the beautiful layers in which this biryani is served. Potatoes galore! If you like potatoes in your biryani, then Bombay biryani should be your go-to! It’s also a little mellow on the spices and served in dum style. The city of dreams has a dream biryani named after it! This is one biryani you might not have heard of. Usually made with minced lamb, lots of spices, and dry fruits, this biryani hits the sweet spot between sweet and spicy, and the minced meat is marinated in such a way that it has a very thick, gravy-like consistency. Love sea food, Goa, and biryani? Then this is the biryani for you! It’s not for those with a sensitive palate though, since this biryani has a strong mix of spices along with marinated fish, and so much gravy, you’ll be left licking your fingers. From the royal Awadh kitchen, and mostly made with mutton, this biryani is also a popular favourite. The mutton is cooked amidst the very aromatic and fragrant rice and served in such a way that it’s as much a treat to your scent buds as it is to your taste buds. How many of these biryanis have you tried? If you’re craving for one right now, fire up the Swiggy app and order in! What’s For Breakfast, Bengaluru? : 6 Awesome Places To Begin Your Day With! Previous articleSpices And Sauces That Are Essential For Chinese Dishes! Next article7 Places in Bangalore One Must Try To Keep Those “Eat Healthy” Resolutions Going!